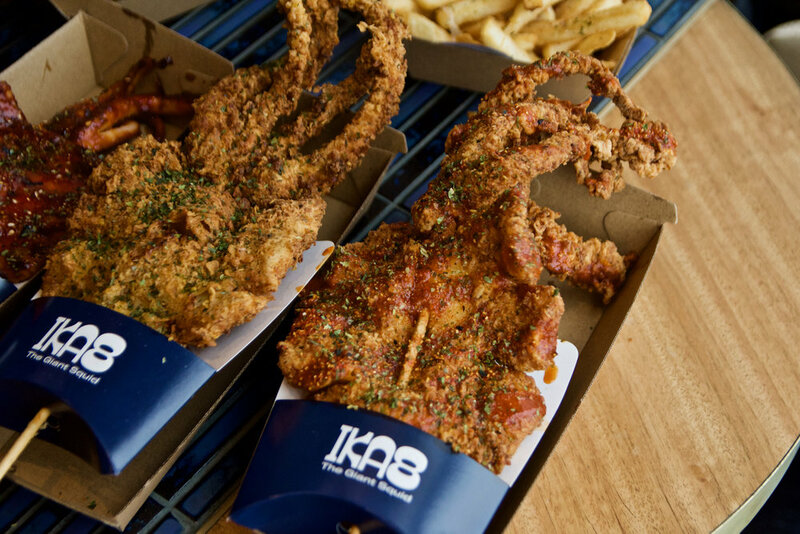 An absolute must try at IKA8 is the giant squid. 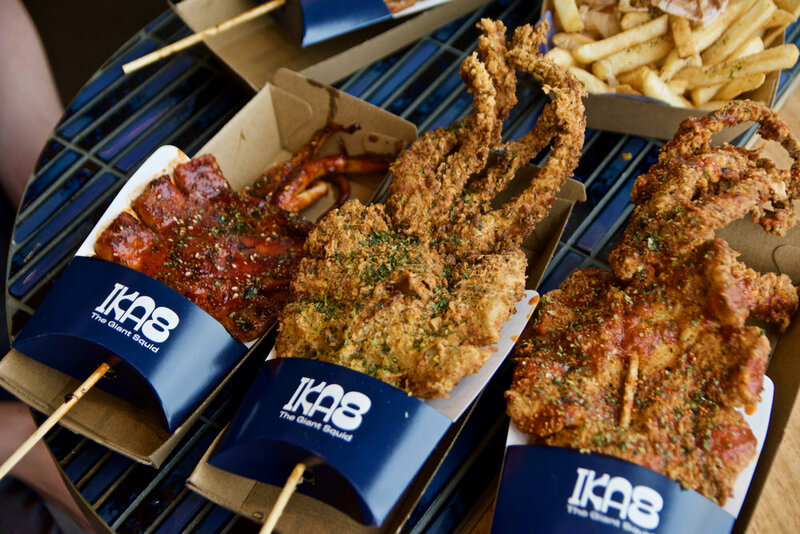 Fried or grilled, these babies are simply to die for. The fried Classic all SEAson was a stunner. Beautifully crisp batter on the outside, tender on the inside and loaded with herbs and spices. The fried Thai Tom Yum Yum was similarly delicious and laced with an addictive tom yum sauce. The grilled squids were yet another great option. If you like a challenge then the Spicy Korean will burn your mouth off in the most delectable way! It’s spicy. Really really spicy so you’ll be sure to work up a sweat! For the less adventurous, the grilled Japanese ink and soy boasts a sticky soy and ginger glaze and it laden with umami.